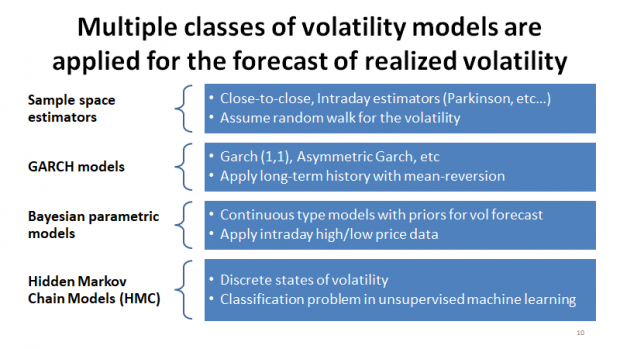 Recently I have been working on applying machine learning for volatility forecasting and trading. I presented some of my findings at QuantMinds Conference 2018 which I wanted to share in this post. My presentation is available at SSRN with the video of the talk in YouTube. 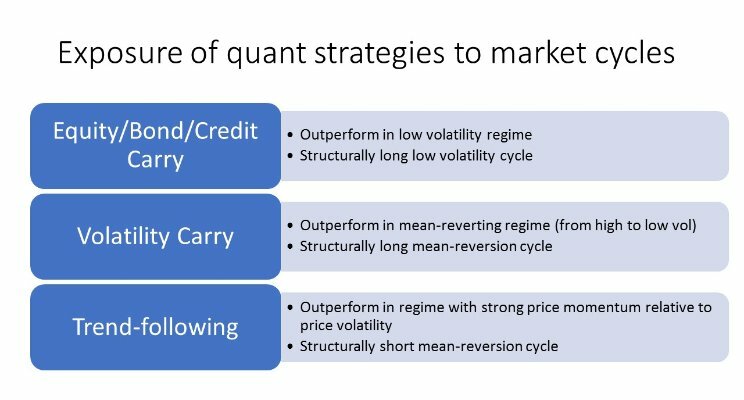 The skewness and the convexity of strategy returns with respect to the benchmark are the key metrics to assess the risk-profile of quant strategies. 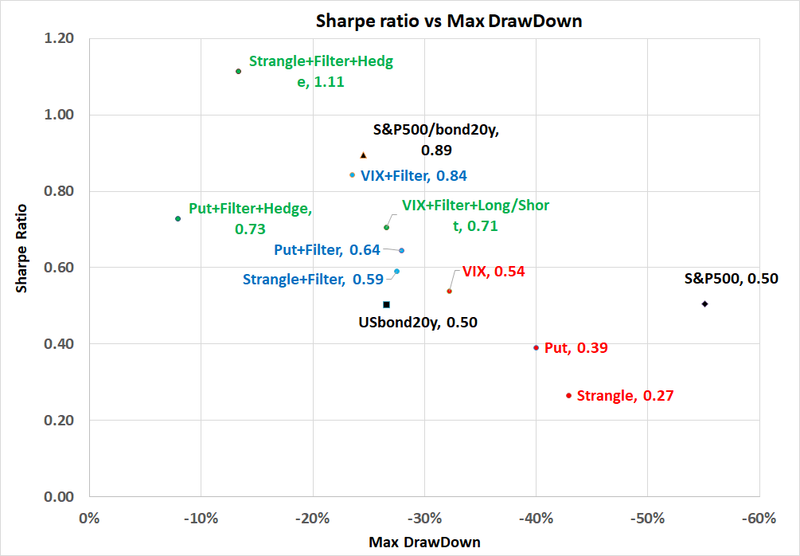 Strategies with the significant positive skewness and convexity are expected to generate large gains during market stress periods and, as a result, convex strategies can serve as robust diversifiers. 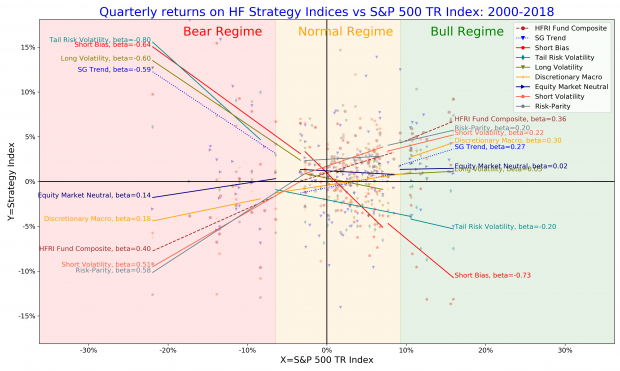 Using benchmark Eurekahedge indices on major hedge fund strategies, I show the following. While long volatility hedge funds produce the positive skewness, they do not produce the positive convexity. Tail risk hedge funds can generate significant skewness and convexity, however at the expense of strongly negative overall performance. 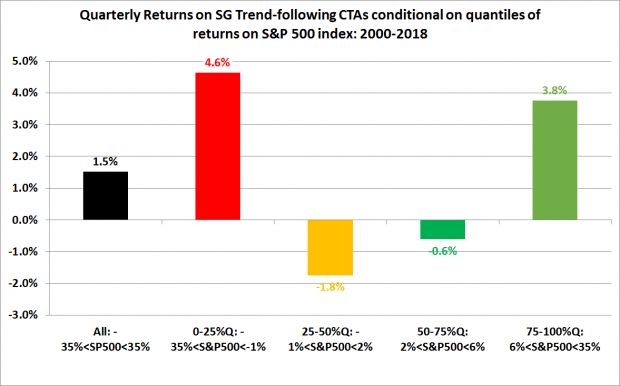 Trend-following CTAs can produce significant positive convexity similar to the tail risk funds and yet trend-followers can produce positive overall performance delivering alpha over long horizons. On the other spectrum, short volatility funds exibit significant negative convexity in tail events. What is the most significant contributing factor to the performance of a quantitative fund: its signal generators or its risk allocators? Can we still succeed if we have good signal generators but poor risk management? How should we allocate to a portfolio of quantitative strategies? I have developed a top-down and bottom-up model for portfolio allocation and risk-management of quantitative strategies. The interested readers can find the slides of my presentation here and can watch the webinar can be viewed on youtube. I present a few systematic strategies for investing into volatility risk-premia and illustrate their back-tested performance. I apply the four factor Fama-French-Carhart model to attribute monthly returns on volatility strategies to returns on the style factors. I show that all strategies have insignificant exposure to the style factors, while the exposure to the market factor becomes insignificant when strategies are equipped with statistical filtering and delta-hedging. 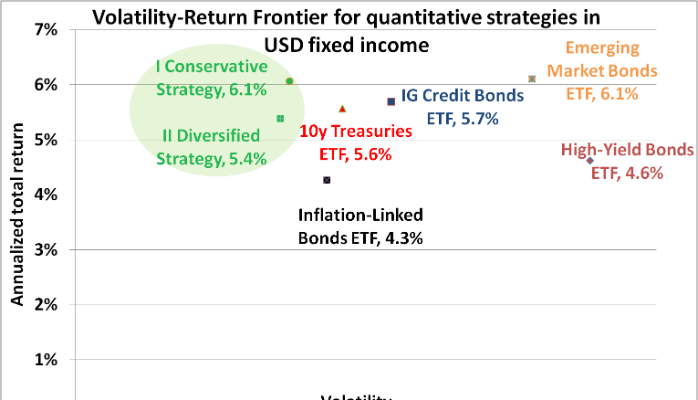 I show that, by allocating 10% of portfolio funds to these strategies within equity and fixed-income benchmarked portfolios, investors can boost the alpha by 1% and increase the Sharpe ratio by 10%-20%. The key issues for allocators and investors are the very low and mostly negative interest rates for core government bonds, toppish valuations in stock markets, permanent level of high risk-aversion by individual investors. How do we go from here? Well, these are the questions that I am trying to solve in my current role for our client and for myself. In this respect, I was very pleased to be interviewed by Barbara Mack from Institutional Investor Journals to discuss my experience and my thoughts about the quantitative approaches to wealth management. What I wanted to emphasize is the growing importance of quantitative tools and, in particular, robo-advisors, in the wealth management space.